Cloudy with occasional rain during the afternoon. Thunder possible. High 57F. Winds W at 10 to 15 mph. Chance of rain 80%.. Partly cloudy skies. Low around 40F. Winds W at 10 to 15 mph. A passionate roar of “keep public lands in public hands” kicked off the rally and Gov. Steve Bullock was quick to emphasize both the $7.1 billion boost to the economy from recreation on public lands and the 73,000-person workforce that relies on their continued existence. Such an event should appeal to a vast majority of Montana residents, but unfortunately, balance, unity and a shared love of public lands for all public land users was lost in the fanfare throughout this one-sided affair. 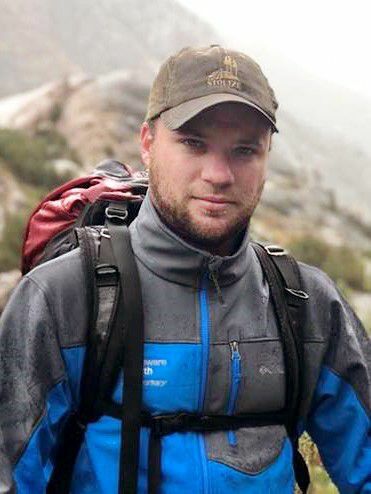 Ryan Busse, formerly of Montana Conservation Voters and current board chair of Backcountry Hunters and Anglers commented that “Habitat Montana will be viciously attacked” while Maggie Carr, co-chair of Sportsmen and Women for Tester, lamented that she sees threats to public lands and to her livelihood. Bullock continued this sentiment with claims that the “attacks are real.” The alarmist tactics were put on display for anyone willing to pay attention. A naïve onlooker might have walked away with the understanding that only one political party truly loved Montana’s great outdoors. As Montanans, we’ve witnessed our entire congressional delegation — two Republicans and one Democrat — push for permanent reauthorization of the Land and Water Conservation Fund to further safeguard natural areas and provide recreation opportunities to all Americans. The LWCF funding is included in a bipartisan public lands package that also includes the Yellowstone Gateway Protection Act. A vote on this package has been secured. We’ve also witnessed the entire delegation successfully designate the East Rosebud as Montana’s first Wild and Scenic River in 40 years. At the state level, Rep. Alan Doane sponsored The Montana Public Land Access Network with buy-in across the political spectrum to create a grant program to acquire access to public land for recreational purposes. Furthermore, former Rep. Jon Knokey sponsored a bill to extend Montana's Unlock Public Lands Program to provide access to an eligible 1.5 million acres of public land for public use. Speakers mentioned hunters, anglers, snowmobilers and birdwatchers in the same breath while pitching a fiery rhetoric to an out-of-state donor base that knows little about public lands in Montana. These speakers should realize public land users cross political affiliations and the rural/urban divide and speak to them rather than their out-of-state donors. Kudos to the many mainstream Montana stakeholder organizations that were noticeably absent from the event while those in the rotunda heard from individuals and organizations more interested in few differences rather than the victories and success stories of conservation. Montanans would be best served by leaders that recognize the nonpartisan issue of the great outdoors — not those who seek to divide us by the very thing that unites us. Dan Stusek is the Executive Director of the Montana Outdoors Coalition a nonprofit focused on public access and recreation.